Just typing those words sense a shiver through me. And I hope it does for you too as it would mean you got to play one of the great Bullfrog management-sim games; Dungeon Keeper. Originally released in 1997, this game was an absolute must for anybody who owned a PC at that point. Which is why War for the Overworld is exciting and something you should know about. 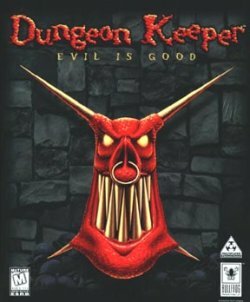 A team of dedicated enthusiasts have decided to make what can at least be described as a ‘spiritual successor’ to the Dungeon Keeper games, one which promises to add to the original’s mythos and gameplay. They are seeking £150,000 before January the 3rd to develop and deliver not just a new game but also the mod tools for it. The video, including Mr Ridings, does a better job of selling it than I ever could. If you find yourself with some spare Christmas money, you could do a lot worse than to invest in a digital copy of War for the Overworld. Personally, I’m going for the Collectors’ Edition!